The NCLEX-PN exam is not just about what you know—it's about how you think. 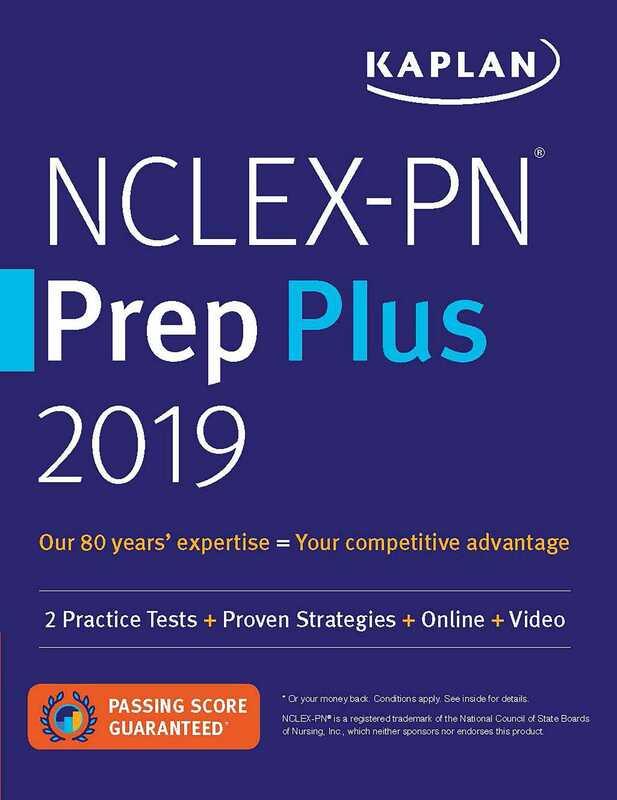 Kaplan's NCLEX-PN Prep Plus 2019 uses expert critical thinking strategies and targeted sample questions to help you put your expertise into practice and ace the exam! The NCLEX-PN exam tests how you'll apply the medical knowledge you've gained in real-life situations. In NCLEX-PN Prep Plus 2019, Kaplan's all-star nursing faculty teaches you 9 critical thinking pathways to help you break down what exam questions are asking. Six chapters end with practice sets to help you put these critical thinking principles into action. Get everything in NCLEX-PN Prep 2019, plus one more practice test online, additional practice questions, 60 minutes of video tutorials, and a digital copy of the book. With NCLEX-PN Prep Plus 2019 you can study on-the-go. Log in from anywhere to watch video tutorials, review strategies, and take your online practice test.